In our continuous drive towards excellence, we deeply appreciate the cooperation with our long-lasting and reliable partners. 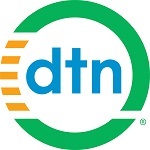 DTN is the independent, trusted source of actionable insights for 600,000 customers focused on feeding, protecting and fueling the world. Customer-centric and employee-driven, DTN focuses on empowering agriculture, oil & gas, trading, and weather-sensitive industries through continuous, leading-edge innovation. The company produces The Progressive Farmer magazine, the premier publication in Agriculture. The TFM Aviation Inc., a Canadian company with head office in Montreal, is a team composed of industry specialists in the fields of fuel management and operational efficiency. Whether assisting to develop a strategy to reduce fuel consumption or formulating plans to assess the environmental impact of pollutants discharged over the route structure, TFM Aviation has the experience and expertise, to not only develop a plan but also the execute the project. DW International is an independent consultancy which provides solutions in the fields of air navigation, civil air communications and air traffic management. The company also develops and maintains bespoke software, and manages websites that support air operations. Clients include international agencies, national administrations, airports, airlines and equipment manufacturers. The company has access to a wide range of experienced technical experts including airworthiness and operational approvals inspectors, aviation safety engineers, communications engineers, surveyors and geodesists, instrument procedure designers, airspace designers, GNSS policy-makers and air traffic management consultants. AASI specializes in flight path optimization based on state-of-the-art Cost Index technology. We provide affordable, stand-alone and easy-to-use software that enables users to identify optimal altitude and speed profiles without the need for expensive Cost Index capable FMS systems. Customers include civilian and military operators of aircraft ranging from corporate jets to large military transports. MeteoGroup is a global private weather business with offices around the world. Founded in 1986, we combine experience and global coverage with local expertise to offer our customers highly accurate and bespoke weather services. For further information, visit the MeteoGroup website at www.meteogroup.com. Eurocontrol is the European Organisation for the Safety of Air Navigation. Founded in 1963, it is an international organisation working for seamless, pan-European air traffic management. Eurocontrol is a civil organization and currently has 38 member states; its headquarters are in Brussels. Smart4Aviation has received the permission to work with EAD. EAD (The European Aeronautical Information Services Database) is a single, centralized repository of aeronautical information. The information is offered to the airlines as a service. This way we enabled Smart SUITE to handle data from EAD INO, e.g. being able to handle Notam data. The Met Office is the United Kingdom's national weather service, and a trading fund of the Ministry of Defence. As a headquarter the Met Office chose Exeter in Devon. The Met Office provides multiple kind of weather forecast for numerous recipients. - help keep roads open and planes flying. Smart4Aviation has been provided the compliancy statement relating to the consultancy work carried out by the Met Office to evaluate the operational efficiency of BUFR visualization software.